This gorgeous Rosa de los vientos Mexican Talavera Vessel Sink will help you to create a colorful and vibrant scene in your bathroom. 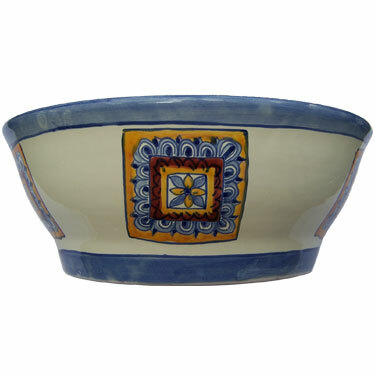 Mexican Artisans have been continuously contributing with their great talent during hundreds of years and we are bringing all this beautiful designs on these Mexican Talavera Ceramic Sinks directly to your house. 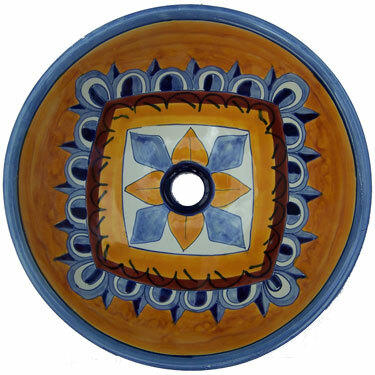 The quality and designs of these Mexican Hand painted Ceramic Sinks are recognized worldwide. A Mexican Talavera Sink is a great work of art full of color and tradition that you must have, this beautiful Mexican Talavera Sink reflects the great handcrafted work of our expert Mexican artisans. 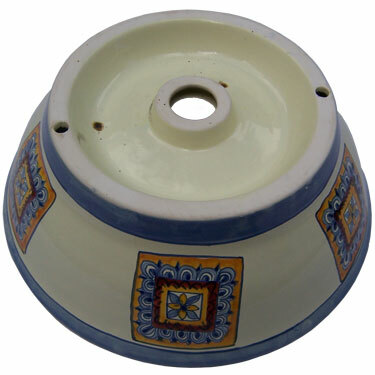 We count with a great variety of designs on Mexican Talavera Sinks, also we have Mexican Talavera Tiles that can match with these Mexican Talavera Handmade Sinks.